They switched young boys from last night. C'mon Gedo. Give us more of a change-up here than that. Taichi makes Umino tap out, then we get a post-match angle to set up him up as a challenger for Ospreay. Stuff happened. The heels won. POST-MATCH SEGMENT - Odd. The Tongans grabbed Juice Robinson and Chase Owens grabbed the IWGP US Title and looked like he was about to lay Juice out with his own belt... but then he just decided not to and instead made Juice watch as he hit another Package Piledriver on Narita... who we have never shown Juice having any sort of connection to, so I'm not sure why they did this instead of the much stronger "lay the babyface champion out with his own belt" angle they seemed to have been setting up. Suzuki-Gun jumped the bell on their opponents. Stupid Taguchi Tricks inevitably get reversed, leading to the standard Suzuki-Gun "drag the opponent into the crowd and hit him with stuff to set up for the Count-Out Tease That No One Ever Buys�. After that point this basically turned into three separate singles match: Suzuki vs. Taguchi, Elgin vs. DBSJ, and Archer vs. Henare. Archer pinned Henare with Blackout. The match was decent, although I'd like to see more out of a match that goes thirteen minutes. Stuff happened. EVIL made Honma tap out to a Sharpshooter, which I think is a new finisher for him. Ibushi and Naito had something of a confrontation after the match. OH MY G-D OKADA VS. ISHII IS GOING TO BE INSANE! Goto and YOSHI-HASHI certainly pulled their weight in this match as well, but holy sh*t did Okada and Ishii bring it without even giving anything away. They told a very good story about Cabana trying to do unorthodox things to trip Sanada up, which Cabana's usual style plays into very well. Sanada eventually got the win like we all knew he would, but it was nice to see Colt get time to seem like a serious main even caliber wrestler again. Exactly what you'd expect from these guys, with lots of limb-work and lots of dramatic struggles into and out of holds. Lots of great work on their chosen body parts, and some good changing up of his usual stuff from Tanahashi for once. A fantastic main event! An AWESOME show from New Japan. It was nice to see something on the undercard really come through, and both of the quarterfinal matches delivered as well. The usual suspects on the undercard were much better than usual (yes, I'm talking about you, Suzuki-Gun), and we got some decent angles to further things along. 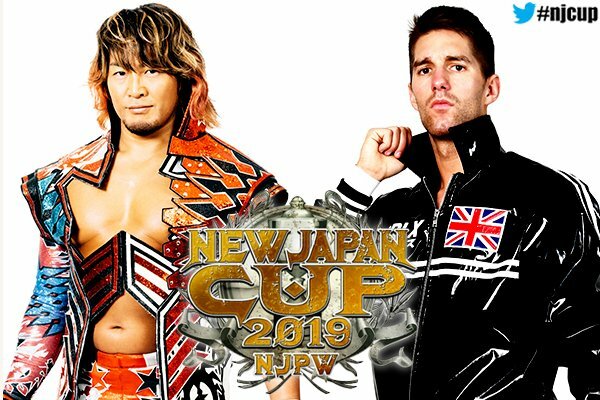 I'm quite glad that they seem to be building to another Ibushi vs. Naito match.